Texas education lost an advocate Saturday. Arleigh Templeton, eighth president of Sam Houston State University, died Saturday in San Antonio at the age of 90. Many Huntsville residents spent Sunday remembering a friend and leader. Since 1939, Ferol Robinson has lived in Huntsville and has served as journalism department chair and vice president of university relations for SHSU. He said while working with Templeton on press coverage of SHSU, he got to know a lot about the man behind the mission. “Arleigh was a dedicated person — relative to all levels of the educational process,” he said. “He had little patience with a doubter person when planning for solutions to the educational process. Templeton was born April 18, 1916, in New Waverly, Texas, to Claude E. and Jennie B. Templeton. After graduating from of Sam Houston State Teachers College in 1936, he earned his masters and doctorate from the University of Houston. Throughout his career, Templeton remained devoted to education in Texas. His work spanned three decades and several school districts, including his time as superintendent for the League City Public School, Clear Creek Independent School District, El Campo Public School and Alvin Public School. He also served as president of Alvin Junior College and president of three universities, including Sam Houston State, the University of Texas at San Antonio and the University of Texas at El Paso. While at Sam Houston State, he changed the university from a teachers college to a state college, then to a university in six years. During his tenure at Alvin, Templeton met a man named Frank Leathers, now a longtime resident of Huntsville. Leathers fondly remembers working with Templeton — first at Alvin, then at SHSU. Templeton took pride in promoting and encouraging young people, Leathers said, citing himself as an example. Bobby K. Marks, another well-known former president of SHSU, took time Sunday to pay respects to Templeton. Marks said Templeton took pride in the fact that SHSU became widely acknowledged as a national leader in Criminal Justice. 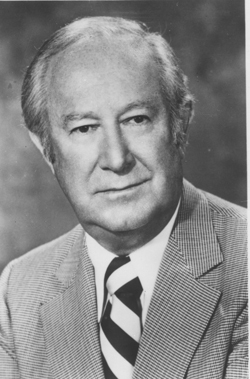 Morris Waller, former mayor of Huntsville, said Templeton had a positive impact on Sam Houston State, as well as the city of Huntsville. While at the University of Texas at El Paso, Templeton reworked the university, building 50 million dollars worth of new buildings, brought in graduate programs including its first Doctor’s Degree. He also served many posts of the Southern Association of Colleges and Schools and was elected to the presidency in 1967. He was the second Texan to become president of the Southern Association of Colleges and Schools, the accrediting agency for all schools in the 11 southern states. Templeton is survived by his wife of 68 years, Maxie; son, Earl Wayne; daughter-in-law, Judy Templeton; two grandchildren, seven great-grandchildren and numerous nieces and nephews. Visitation will be Tuesday at 6 p.m. at Sunset Funeral Home Chapel in San Antonio. Funeral services will be Tuesday at 7 p.m., at the same location. There will also be a graveside service Thursday at 1:30 p.m. at Forest Park East Cemetery in Webster.